Just over 40,000 jobs in Scotland depended on the production of Scotch Whisky which is almost 2% of all jobs in Scotland. 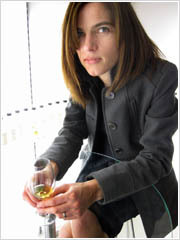 Whisky For Everyone was started in March 2008 by husband and wife team Matt Chambers and Karen Taylor. They were both beginners in the world of whisky and despite finding some very good websites, they struggled to find one that seemed to explain things in basic beginners language. Therefore, they decided to write such a site themselves. 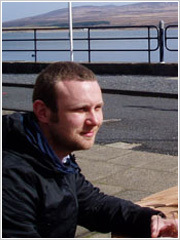 The blog was joined by the Whisky For Everyone website in January 2009 and both have been growing ever since. Matt and Karen are regulars on the London whisky scene and have readers from all around the world, despite both having full time jobs away from Whisky For Everyone. 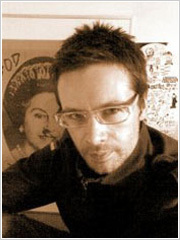 In March 2012 they selected Chris Maclean and Matt Tilbury as two new regular contributors. Matt stumbled in to the world of whisky when he blagged a job in the world renowned Royal Mile Whiskies store in London (thanks Michael!). He was weary of selling cameras and being a manager for a high street photographic chain, so decided on a total change of subject. He did not know what he was getting in to or have imagined what impact the decision would have on his life. Matt's interest lies in the geeky side of the whisky industry - the heritage behind the brands and distilleries, plus how it is made. He also has an annoying tendency for remembering the weird facts, figures and stories that bring the world of whisky to life. In addition, Matt has hosted regular whisky tasting events, has written articles for various printed and online publications, plus has been a selected regular on the judging panel for a major whisky award. Karen always thought she liked whisky but never really understood why. After falling in with the wrong crowd (see below) she starting tasting whisky with some very knowledgeable individuals and never looked back. She is intrigued by the 'human' aspect of whisky - the history and the people that work so hard to create what is in each bottle. Karen has a background in online communications and marketing, which is also her day job. Her passion is to use the digital world to provide people with unbiased information, from helping when buying whisky to just letting everyone know what cool things the distilling industry does. 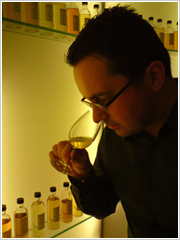 Chris came to the world of whisky from the wine trade, where he worked in numerous retail outlets and for producers in Australia, France and the USA. Chris sees parallels between the wine and whisky industries and is inspired by the diversity in the range of whisky styles. He also enjoys educating others about the quality of products available and believes that whisky as a category is often misunderstood or poorly communicated. Chris has written as a guest on WFE occasionally in the past and wishes to bring his increasing interest in cigar and whisky matching to a wider audience. His experience, combined with his support for Matt and Karen, has seen him considered by them as the 'unofficial' third member of the team for a while now. Chris is currently the manager of the London branch of The Whisky Shop, the UK's largest specialist whisky retail chain, in the heart of the City. Matt is the current store manager for the award winning Royal Mile Whiskies London branch in the West End. He discovered world of whisky through working for a wine retailer and has never looked back. He is one of the major influences on Whisky For Everyone's co-founder Matt and set him on the road to learning about whisky in their early days of working together at Royal Mile. Matt believes that whisky can be consumed and enjoyed by anyone and that everyone can learn and appreciate good whiskies. He also believes that talking with whisky consumers on a daily basis in the shop gives him an insight in to the modern whisky drinker and current trends. This passion extends to hosting tastings and a little bit of brand consultation work. He has a growing interest and taste for bourbons, American whiskies and the micro-distillery movement that is booming in the USA.